Lakes and other inland waterways are popular and enjoyable vacation destinations for boating enthusiasts. 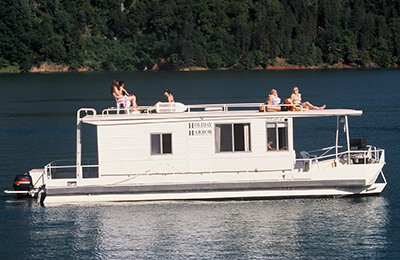 Opportunities abound for anyone looking to fish, swim, water ski, or just plain relax. The National Marine Manufacturer’s Association (NMMA) recognizes 32 different types of boats and while their looks and operations may vary, the names and terms used on these vessels are the same across the board. Before embarking on your next boating adventure, be sure you know the eight terms listed below. 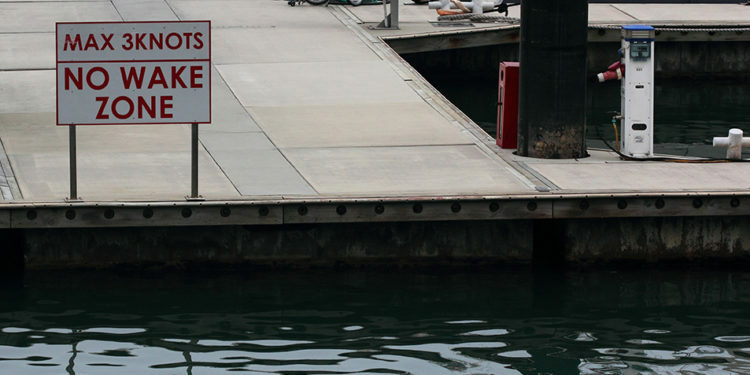 Carbon monoxide is the product of incomplete combustion of the gasoline used to power boat engines. 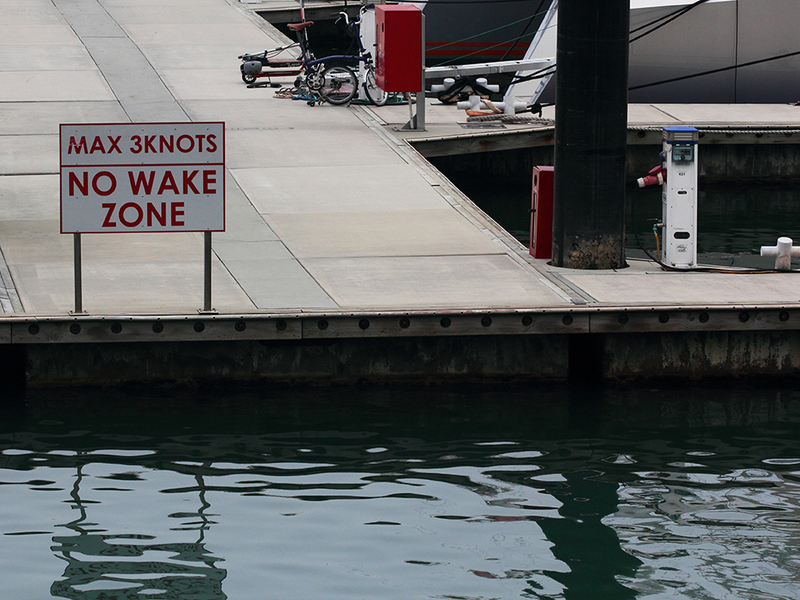 This poisonous gas collects easily above the water’s surface immediately behind motorboats. Symptoms of carbon monoxide poisoning range from mild lightheadedness and headache to toxicity of the central nervous system and heart or even death. Buoys are anchored floating object used for navigational aids, warning signs, and mooring spots. These markers can be found in varying sizes, colors and shapes depending on each one’s specific purpose. Important inland waterway buoys include those that warm operators of underwater hazards, high-traffic areas, and marina entrances. The waves created by a moving boat are referred to as the vessel’s wake. Wake occurs when water cannot be compressed by the hull of the boat as it passes through it and must, therefore, be displaced. This water will spread outward from the hull of the boat until its energy is lost or overcome. Whether you own your own vessel or take advantage of boat rentals, every type of motorboat has the ability to create a wake. First of all, the bilge is the lowest section of a boat’s hull where water collects. This usually occurs when a wave is taken on board or a hole causes a leak in the hull. Additionally, a bilge pump clears that water after it builds up in the bilge. Bilge pumps are often viewed as being a boat owner’s first and only defense against sinking. Just be sure to never pump oily bilge water into inland waterways as it is against the law in many regions. Unlike the terms left and right, port and starboard refer to fixed locations on the vessel itself. These terms literally refer to the left and right sides of the boat, not directionality. Port and starboard are referenced as seen when facing toward the bow. 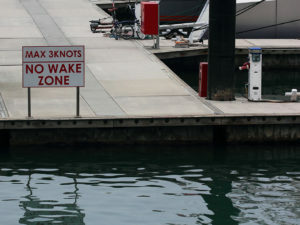 Also unlike the directions of left and right, port and starboard are considered unambiguous, and therefore, independent of a boat operator’s orientation. In nautical terms, a bearing is a direction toward an object or the course of motion itself. Most commonly, relative bearing refers to the angle between a craft’s forward direction and the location of another object. Knowing your bearing is crucial in the event of emergencies, illness, injury or mechanical trouble. If you are aware of your bearing, it can be taken to a person or your vessel to provide any type of needed aid. Emergencies can happen anytime making it important to know how to properly communicate with emergency personnel or a boat mechanic. Your family is sure to have a great experience as long as you understand the above boating terms as well as the laws and possible dangers of boat operation.